Russia is a contracting state to the New York Convention on the Recognition and Enforcement of Foreign Arbitral Awards (the Convention) as a successor to the USSR (which joined on 22 November 1960). When joining, the USSR made a single declaration that in respect of the decisions rendered on the territories of non-contracting states the Convention would be applied on a reciprocal basis only. Minsk Convention on Legal Aid and Legal Relations in Civil, Family and Criminal Cases of 1993 (ratified on 10 December 1994). Also, in 1992, Russia signed the Convention on the Settlement of Investment Disputes between States and Nationals of Other States of 1965, but to date has taken no steps for its ratification. Russia also signed the Energy Charter Treaty, but later decided not to become a contracting party. To date, Russia is a party to 79 bilateral investment treaties of which 16 treaties have been signed but have not entered into force, and 63 are currently effective. Most of those treaties contain dispute resolution provisions providing for either institutional (the most common option is either the Stockholm Arbitration Institute or the International Centre for Settlement of Investment Disputes) or for ad hoc (under the UNCITRAL Arbitration Rules) arbitration. Russia has dual arbitration legislation, with one law for domestic arbitration and another one on international arbitration. A major arbitration law reform in 2015 included a new law on domestic arbitration being adopted (which replaced a 2002 law) as well as in substantial amendments to the law on international commercial arbitration. There is also some overlap between them (ie, certain procedural provisions of the domestic-focused also apply to some aspects of international arbitrations in Russia as well). Law No. 5338-1 On International Commercial Arbitration of 7 July 1993 (the ICA Law). It regulates international arbitration having its seat in Russia, except for certain provisions which also apply to cases when an arbitration is seated abroad. Federal Law No. 382-FZ On Arbitration (Arbitral Proceedings) in the Russian Federation of 29 December 2015 (the Arbitration Law). It relates to domestic arbitration and, to some extent, international arbitration seated in Russia (for example, requirements applicable to arbitrators, liability of arbitrators and arbitral institutions and others). The ICA Law declares in the preamble that it takes into account the provisions of the UNCITRAL Model Law of 1985. Therefore, the ICA Law mirrors the UNCITRAL Model Law of 1985. However, though directly provided in the text, the ICA Law does not reflect the 2006 amendments to the UNCITRAL Model Law. The Arbitration Law, being structured almost in the same manner as the ICA Law, also follows the UNCITRAL Model Law with certain deviations and additions. the arbitration institution and/or rules must be correctly and unambiguously stated. (For instance, Russian courts have rejected enforcement of an ICC award considering that the standard ICC arbitration clause did not refer to the ‘arbitration institution’, but only to the ICC rules - see more on Case A40-176466/2017.) Though we note that later the Supreme Court emphasised the validity of a standard ICC clause in 26 December 2018 review of arbitration-related cases. In relation to domestic arbitration the Arbitration Law provides that the arbitral tribunal shall resolve the dispute in accordance with the rules of Russian law or, in cases where under Russian law, the parties may choose foreign law, in accordance with the rules of law that the parties have chosen. In the absence of parties’ choice of law the arbitral tribunal will (under both laws) itself decide on the applicable law in accordance with the conflict of laws rules it considers applicable. Pursuant to the arbitration reform in December 2015, an institutional arbitration organisation may now be established only by a non-commercial organisation, upon receipt of an accreditation, a permit from the Russian government granting rights to perform functions of an institutional arbitration. A foreign arbitral institution is also required to have such permit to hold proceedings seated in Russia. Arbitral awards with seat in Russia rendered by an arbitral institution not having permit will be regarded as ad hoc awards. Ad hoc tribunals are prohibited from administering ‘corporate disputes’ (including most disputes between shareholders of a Russian-incorporated company, some M&A/share purchase type disputes involving a Russian company etc - and see further question 8) and have a more limited capacity than institutional arbitrations (eg, the parties cannot request assistance from state courts in obtaining evidence, and cannot agree on finality of the award). Institutional arbitration organisations must have the recommended lists of arbitrators, which is often used by parties to choose arbitrators. However, parties may choose any arbitrator, including those who are not included in the recommended lists. The International Commercial Arbitration Court at the Chamber of Commerce and Industry (CCI) of the Russian Federation (ICAC) (6/1 Ilyinka street, Moscow, 109012; http://mkas.tpprf.ru/en/). ICAC is the oldest Russian permanent arbitration institution (founded in 1932) that traditionally administers international commercial disputes. In late January 2017, new rules and regula tions of ICAC were adopted which expanded its jurisdiction to cover domestic arbitrations as well. Fees and costs in ICAC are relatively modest, with registration fee of US$1,000 and arbitration fee depending on the amount of claim, the minimum being US$2,600. The Maritime Arbitration Commission at the CCI of the Russian Federation (MAC) (6 Ilyinka street, Moscow, 109012; http://mac.tpprf.ru/en/). MAC is a reputable arbitration institution that resolves maritime disputes including vessel chartering, maritime transportation, collisions between marine vessels, etc. Fees and costs at MAC are more or less compatible with those at ICAC. The Arbitration Center at the Russian Union of Industrialists and Entrepreneurs (RUIE Arbitration Centre) (17 Kotel’nicheskaya naberezhnaya, Moscow, Russia 109240; https://arbitration-rspp.ru/). The RUIE Arbitration Center administers both domestic and international commercial arbitration, but is primarily known within Russia for its domestic arbitrations. Fees and costs are on average lower than those of ICAC and are also based on the amount of dispute. The Arbitration Center at the Institute of Modern Arbitration (Modern Arbitration Center) (7 Ulitsa Gasheka, Moscow, 123056, Russian Federation; https://centerarbitr.ru/en/main-page/). It is a newly established but actively evolving institution which can administer both domestic arbitration (including corporate disputes) and international commercial arbitration. The arbitration fee is calculated as a percent of the amount in dispute, but the parties may agree that the arbitration fee shall be based on hourly rates. Some other organisations are still seeking to obtain accreditation permits, including the Russian Arbitration Association, and at least one foreign institution (reported to be the Hong Kong International Arbitration Centre - HKIAC). Over time different types of disputes have evolved from being arbitrable to non-arbitrable and vice versa, as courts took diverging positions. disputes arising from state procurement contracts. related to the expulsion of a shareholder from a company. The arbitration agreement must be in writing (or any other form that is deemed equal to written form, that is, be exchange of emails, by inclusion to relevant clearing or trading rules etc). The Arbitration Law specifically allows conclusion of an arbitration agreement by exchange of procedural documents (including a statement of claim and a statement of defence), whereby one party declares an arbitration agreement and the other party does not object. The arbitration agreement with regard to corporate disputes can be inserted into the charter of a Russian company, as long as it is adopted unanimously by the shareholders (providing there are fewer than 1,000 in total), but not in the charter of a public joint-stock company. The arbitration agreement can be made by reference to general terms and conditions document containing an arbitration clause. But such reference should be made in such a way that makes it a part of the agreement. Also note some recent Russian court decision to the effect that a lawyer’s power of authority to represent a client in arbitration most expressly specify such authority, for failure of which an award may be declared invalid upon court challenge. This footnote line of cases seems to have been defused by most recent Supreme Court clarification; but caution suggests including such specificity in relevant powers of attorney. Most common defects rendering an arbitration clause unenforceable are lack of written form of arbitration agreement, non-arbitrability of a particular type of dispute, or defects of the party’s intent (mistake, coercion, fraud, etc). Other instances when an arbitration agreement could be at risk are elaborated by court practice. For example, courts have held that an arbitration agreement will be unenforceable if the parties failed to correctly name the arbitration institute. 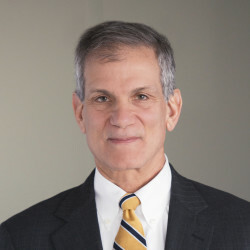 Also, a split-jurisdiction arbitration clause, granting only one party with a right to refer disputes in arbitration or the state courts, or both, shall be interpreted as granting mirror rights to both parties. Third parties that are not signatories to the arbitration agreement cannot be bound by it. This follows from the general Civil Code rule that no obligation can impose duties on non-parties thereto (third parties). Neither the Arbitration Law nor the ICA Law contains relevant provisions on a third party participation in arbitration. Rules of some arbitration institutions (eg, ICAC, MAC, Modern Arbitration Center) provide for admittance of a third party to arbitration, which may join the arbitration provided that all parties to the dispute and such party are parties to an arbitration agreement or have all given written consent for this. The group of companies doctrine is not elaborated in Russian law. The arbitration agreement may only extend to and be effective for the signatories of such (and for legal successors of parties, etc). Russian law applies the same principles and criteria for validity of the arbitration agreement regardless the number of parties involved, though does not directly cover multiparty situations. Some arbitration rules (ICAC rules, for instance) provide for a case where there are multiple parties on the claimant’s or respondent’s side. In such cases those parties will act as claimant and respondent, with right to nominate one arbitrator (failing such the arbitration institute will appoint the arbitrator). Very complex procedures are provided now by law for multiple parties in relation to arbitrations of corporate disputes. must be fully independent and unbiased. The sole or presiding arbitrator of a tribunal must be qualified in law; but this may be waived by the parties’ agreement. Some further restrictions are stipulated by laws: for example, active judges are prohibited from acting as arbitrators. Retired judges can now serve as arbitrators. It is also stated in law that no one can be deprived of the right to act as an arbitrator on the ground of his or her nationality; but the parties may agree otherwise. The most commonly appointed arbitrators could be seen in the recommended arbitrator lists of the most reputable arbitration institutions in Russia. These lists feature outstanding scholars and practitioners, including retired judges, law professors, in-house counsel and lawyers in private practice (including partners and counsels at international law firms). Industry-based domestic arbitration centres also included professional experts - in oil and gas, electric power, banking and finance. In an arbitration with three arbitrators, each party appoints one arbitrator and the two selected arbitrators appoint the third arbitrator. In case a party fails to appoint an arbitrator within 30 days after receiving a request from the other party or in case the two selected arbitrators fail to agree on the third arbitrator within 30 days of their appointment, the appointment shall be made upon request of any party by a competent state court. In an arbitration with a sole arbitrator, if the parties fail to agree on the arbitrator the appointment is made upon a request of any party by a competent state court. A panel of three arbitrators is appointed in the absence of the parties’ agreement. a third party (including relevant arbitration institute) fails to perform certain functions in connection with such procedure. Parties to institutional arbitration may exclude intervention by state court in the appointment of arbitrators (and in such case, if the institution fails to form the tribunal, the arbitration agreement would become inoperative). An arbitrator can be challenged either if there are circumstances that give rise to justifiable doubts as to his or her impartiality or independence or if an arbitrator fails to meet the eligibility criteria provided by law or by the parties’ agreement. If the parties fail to agree otherwise, a requesting party should within 15 days of becoming aware of the formation of the arbitration tribunal (or of any above circumstances) file a written notice specifying the grounds for challenging an arbitrator. Unless an arbitrator withdraws voluntarily or the other party consents to the challenge, the question of challenge will be resolved by the arbitration institution. the parties agree to terminate an arbitrator’s functions. The Russian Chamber of Commerce and Industry in 2010 adopted a set of Rules on the Impartiality and Independence of Arbitrators, which generally follow the IBA Guidelines on Conflicts of Interest in International Arbitration. Both are taken into account by reputable practicing arbitrators, but are rarely referred to in the court practice. Some institutional arbitration institutions (for example, the RUIE Arbitration Centre) have adopted its own regulations in this area. Procedural relationship and communications between the parties and arbitrators are usually addressed in the rules of the relevant arbitration institution. Russian law does not recognise any kind of contractual relations between parties and arbitration tribunal. The Arbitration Law and the ICA Law provide only for the requirement of impartiality and independence of the arbitrators, which applies to any kind of arbitration universally. The determination of arbitration fees depends on the type of arbitration: in ad hoc arbitration the arbitrators’ fees are determined either by the parties’ agreement or, in the absence of such agreement, by the arbitration tribunal. For institutional arbitration the amount of fees is provided by the rules of relevant institution. The Arbitration Law expressly regulates this subject. An arbitrator shall not be liable for civil wrongdoing to either party to the arbitration or to the institutional arbitration for misconduct. In the case of an arbitrator’s misconduct, rules of the relevant arbitration institution can provide for the reduction of an arbitrator’s fee. An arbitrator may be held liable only by civil claim filed in criminal proceedings for recovery of damage incurred as a result of a crime, if the arbitrator was found guilty. As a matter of Russian criminal law, an arbitrator may be liable only for deliberate action, not negligence. According to Russian law, when a claim is brought before a court despite an existing arbitration agreement, the court must dismiss the claim and refer the parties to arbitration if any party raises an objection on this basis. The party must raise the objection no later than at the moment of making its first statement on the merits of the dispute, otherwise it is precluded from raising such objection. Unless the court finds that the arbitration agreement is null and void, inoperative, or incapable of being performed the court must terminate the proceedings and remand the parties to arbitration. The arbitral tribunal may rule on its own jurisdiction, including on any objections with respect to the existence or validity of the arbitration agreement. A jurisdictional objection must be raised by any party no later than when it makes its first statement on the merits. A statement that the arbitral tribunal is exceeding the scope of its authority must be made as soon as the alleged beyond-scope matter is raised during the arbitral proceedings. The arbitral tribunal may, in either case, admit a later objection if it considers the delay justified. The arbitral tribunal may rule on a jurisdictional objection either as a preliminary matter or in an award on the merits. If the arbitral tribunal as a preliminary matter rules in favour of its own jurisdiction, any party within one month from receipt of that ruling may apply to state court with an argument that the arbitral tribunal has no jurisdiction. If the agreement provides for arbitration by a permanent arbitration institution, the parties can contract out of this option. Failing prior agreement of the parties, the arbitral tribunal determines the place of arbitration, taking into account the circumstances of the case and the parties’ convenience. Unless otherwise agreed by the parties, the arbitral tribunal may meet at any place it considers appropriate to hold hearings, to hear witnesses, experts or the parties, or to inspect goods, other property or documents. Rules of institutional arbitration provide by default the place of arbitration (Moscow for ICAC, for instance). Under the Arbitration Law, failing prior agreement of the parties, the arbitration proceedings are to be conducted in Russian. Under the ICA Law, if the parties fail to agree on the language(s) of arbitration, it shall be determined by the arbitral tribunal. The arbitral tribunal may request to provide any written evidence with translation into the languages agreed by the parties or determined by the tribunal. According to the Arbitration Law and the ICA Law, the arbitration is commenced when the statement claim is received by the respondent, unless otherwise agreed by the parties. The laws indicate the content of a request for arbitration that should be part of the statement of claim. The ICAC rules provide that arbitration commences with the filing of a statement of claim, which is deemed filed only after the claimant has paid the registration fee. All documents are to be submitted by the parties to the ICAC in six copies (or four copies in case of a sole arbitrator), provided that additional copies are required if there are more than two parties in the dispute, unless otherwise specified by ICAC or the tribunal. ICAC will not proceed with the arbitration unless the advance arbitration fee is paid in full by the claimant. If the parties have not agreed otherwise, the arbitral tribunal decides whether to hold a hearing or to proceed on a documents-only basis. However, unless the parties expressly agreed to forego a hearing, the arbitral tribunal must hold it (could be held via videoconference) if either of the parties so requests. Each party must prove the facts relied on in support of its claim of defence. Each party may submit the documents it considers relevant to the case, together with its statements on the merits of the dispute, or to make reference to the documents or other evidence that it will present in future. If the arbitral tribunal finds the presented evidence insufficient, it may invite the parties to present additional evidence. If either party fails to present documentary evidence without reasonable excuse, the arbitral tribunal may continue the proceedings and render an award based on the evidence that has been already produced. The arbitral tribunal determines admissibility, relevance, materiality and importance of the evidence as it considers appropriate. Documents, witness statements, expert reports and inspections are generally admitted as evidence, though neither the Arbitration Law nor the ICA Law contain any specific provisions on witnesses. The arbitral tribunal may appoint one or more experts on specific issues determined by the tribunal and requiring special knowledge. The parties and the tribunal normally refer to traditional Russian state courts’ principles of evidence production and assessment. Parties rarely include reference to the IBA Rules on the Taking of Evidence in International Arbitration in their arbitration clauses and Russian arbitrators rarely use them in the conduct of cases, except in some unusually complex matters. The newly adopted Prague Rules remain to date untested in practice. The powers (iii), (iv) and (v) listed above may be contracted out by express agreement of the parties to an institutional arbitration (ie, which is administered by an accredited permanent arbitration institution only). Arbitration is confidential, and hearings are closed to the public. Without consent of the parties the arbitrators and the staff of permanent arbitration institution are not entitled to disclose the information that has become known to them during the arbitration. An arbitrator cannot be examined as a witness about the information that became known to him or her during the arbitration. During enforcement or challenging of the arbitral award in state courts, the confidentiality would be partially undercut, as proceedings in state courts are public. A party may request the state court to hold proceedings closed to the public in order to protect confidentiality. ordering the respondent to hand over the property in dispute, to be held in custody by the claimant or a third party. An application for interim measures must be accompanied by a certified copy of the statement of claim and properly certified copy of the arbitration agreement. An application for interim measures must be considered by a judge ex-parte, within a day. The Arbitration Law and the ICA Law do not provide for general provisions on an emergency arbitrator procedure. But a similar concept is reflected in these laws: If provided by the parties’ agreement, prior to constitution of the arbitral tribunal a permanent arbitration institution per request of a party may order interim measures that it considers necessary. Moreover, certain emergency powers are granted to presidents of several arbitration institutions in Russia or their boards. The ICAC Regulation provides that the chairman of ICAC is entitled to grant interim relief upon a party’s request. According to the Arbitration Law and the ICA Law, unless the parties agree otherwise, the arbitral tribunal may at the request of a party grant interim measures that it considers appropriate. The laws do not provide any specific measures that might be imposed by the tribunal. The arbitral tribunal may require either party to provide counter-security in connection with such measures. Orders of domestic and foreign arbitral tribunals on interim measures remain non-enforceable in Russia (for example, Ruling of the Supreme Court of the Russian Federation dated 19 January 2015 in case No. 307-ES14-3604, 21-9806/2013), unless such order is part of a partial arbitral award. Another possible approach could be to apply to state court for the same measures and to refer to the relevant interim order issued by the tribunal. Neither Arbitration Law nor the ICA Law provides for any rule on security for costs. Although such may be ordered by the tribunal based under its general powers to grant interim measures as it considers necessary, practice in this area has been quite limited to date. Neither the Arbitration Law, the ICA Law nor the rules of arbitration institutions in Russia provide for special rules allowing arbitral tribunals to order sanctions against parties or their counsel who attempt to undermine the arbitration proceedings using such tactics. But the arbitral tribunal could take such tactics into account when deciding on distribution of arbitration costs between the parties. Thus a party that used such could be ordered to pay the arbitration costs regardless of the outcome of the case. Decisions by the arbitral tribunal are made by majority vote, unless the parties to the arbitration agree otherwise. Procedural issues could be resolved by the presiding arbitrator alone, if he or she has the necessary authorisation from the parties and other arbitrators. The ICAC Rules also set forth that the decision is made by majority vote, but with the caveat that if a decision cannot be made by majority vote, the presiding arbitrator shall make the decision. The ICAC Rules and the Arbitration Law contain a general statement that an arbitrator who is in disagreement with the tribunal’s decision is allowed to issue a dissenting opinion in writing. Such opinion is attached to the award. The ICA Law is silent on dissenting opinions. Awards must be in writing and signed by all arbitrators (including dissenting arbitrator), or majority of the arbitrators, with explanation for missing signatures. Under the ICA Law, an award should contain (i) the reasoning on which it is based; (ii) the conclusion on granting or dismissing claims; and (iii) the amount of the arbitration fee and costs and their distribution between the parties. The award should also indicate the date and seat of the arbitration. In addition to the above requirements, under the Arbitration Law the award should also contain (unless the parties agree otherwise): (i) the composition of the tribunal and the procedure of arbitrators’ appointment; (ii) the names and addresses of the parties; (iii) explanation of the jurisdiction of the tribunal over the dispute; and (iv) the substance of the claims. The Arbitration Law does not contain any time limitations for rendering of the final award. Under its rules, ICAC should take measures to finalise the proceedings within 180 days following the composition of the arbitral tribunal. This term can be extended by the ICAC Presidium, on its own initiative or by request of the tribunal. filing a request for issuing a separate award for claims filed during the proceedings but not addressed in the award (30 days). Although the ICA Law and the Arbitration Law do not provide for an explicit classification of awards, these laws directly mention final awards and awards on agreed terms. Interim awards and partial awards are also possible. Although enforceability of interim awards issued by the tribunals is questionable. Under the Arbitration Law and the ICA Law, in addition to an award, the proceedings could be terminated either by decision of the tribunal or in certain cases automatically. the tribunal for some other reason believes that continuing the proceedings has become unnecessary or impossible. As a general principle, the costs in domestic arbitration under the Arbitration Law are distributed in accordance with the agreement of the parties; in the absence of such agreement - in proportion to the granted and dismissed claims. At the request of a winning party, the tribunal could allocate counsel fees of such party and other proceedings-related costs on the other party. In-house counsel fees are not common. Interest is not treated as a procedural issue by the Arbitration Law and the ICA Law. It is to be resolved under the substantive rules of law applicable to the dispute, when rendering the award. If the dispute is resolved under Russian law default interest is to be awarded at the key rate of the Bank of Russia (as of 18 December 2017 - 7.75 per cent per annum for claims in roubles). The tribunal is entitled to correct or interpret the award - both on its own initiative or at a party’s request (see question 37 for more details). the party was not notified on appointment of the arbitrators or was unable to provide its arguments. the award contradicts public policy. Once a commercial (arbitrazh) court considers a case on challenging an arbitration award, its judgement enters into force immediately. The parties could appeal that judgement to the cassation instance (commercial (arbitrazh) court of the relevant circuit) and then to the Supreme Court. Depending on the workload of the court and complexity of the case, the first appeal takes from three to five months, and appeal to the Supreme Court could take from four to six months at least. The state duty is 3,000 roubles for each appeal, which could be recovered from the losing party. Legal fees and other costs could also be recovered, but to a ‘reasonable extent’ determined by the court. Russian courts are generally favourable on enforcing both domestic and international arbitral awards - unlike decisions of foreign state courts, which are rarely enforced. An award itself cannot be used automatically in Russia without a writ of execution issued by a state court. The award is enforced by the court at the location of the respondent: the court issues a writ of execution, which is subsequently presented to the banks or the bailiffs for forced execution. And application for issuance of a writ of execution should be accompanied most importantly by copies of the award and arbitration agreement. The court is supposed to review the application on enforcement of the award within one month of the application being received by the court, although there could be delays. The overall limitation period in relation to enforcement of arbitral awards in Russia, combined with local enforcement, can be a maximum of six years. A limitation period of three years is established for voluntary performance of an award or application to the court for execution writ (article 246 APC RF). Once the writ is rendered, another three years are given for its enforcement (article 321 APC RF). This approach to the limitation periods for the enforcement of arbitral awards (combined with relevant court ruling’s enforcement) was confirmed by Resolution of the Presidium of the Supreme Arbitrazh Court of the Russian Federation No. 13211/09 dated 9 March 2011. If the award has been set aside by the courts at the place of arbitration, the Russian courts will most likely not enforce it. The amount of a state duty for reviewing an application on enforcement of the award is the same as for challenging the award - 3,000 roubles. Legal fees could be recovered from the losing side in a reasonable amount. The costs of enforcement through the bailiffs are collected from the debtor directly by the bailiffs. Domestic arbitration proceedings are very much influenced by rules and norms of state court proceedings in Russia. Thus, typical arbitration would largely follow the logic of the state court process. There are also no statutory provisions governing discovery. 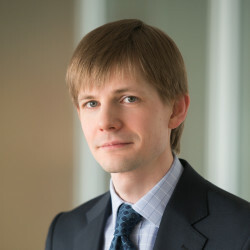 Unlike in common-law influenced jurisdictions or proceedings, in Russia arbitrators tend to consider only documents provided by each party and work more with written evidence than list witnesses or witness statements. There are no country-specific professional or ethical rules applicable to counsel in international arbitration. If counsel in such arbitration has Russian attorney (advokat) status, he or she is bound by that ethical and professional code of conduct and any violations of such could be reported to the local bar. Third-party funding is not widespread in Russia, nor is specifically regulated and therefore is not currently subject to restrictions. A foreign practitioner should be aware of the visa requirements when travelling to Russia: an appropriate visa type should be arranged for in advance (minimum timing is around one to two weeks applications from most countries, although expedited processing may be available for extra fee) and also comply with the migration registration formalities. There are no specific ethical rules for foreign practitioners nor any restrictions on foreign attorneys’ appearing as counsel. Overall, the legal arbitration environment in Russia remains relatively stable despite some tensions at a political level. In past years no bilateral investment treaty has been terminated or renounced and, while the current political situation may affect the foreign investment landscape in the country, Russia has not to date manifested any inclination to reduce investment protections or otherwise introduce any barriers to arbitration or enforcement. The Russian Federation is a party to the New York Convention on Recognition and Enforcement of Foreign Arbitral Awards dated 10 June 1958, which makes it a country with a generally ‘pro-arbitration’ approach. Recent statistics confirm that the rate of enforcement has not changed radically in recent years (in 2018, roughly 80 per cent of all applications for enforcement of arbitral awards were granted, while in 2014-2016 the average rate was 95 per cent). However, there have been a number of cases where courts made surprising rulings invoking, for instance, a public policy ground and challenging the arbitration clause’s wording - which were inconsistent with established court practice. But the message conveyed by the Supreme Court in its recent review of arbitration-related cases (dated 26 December 2018) reconfirms and underscored an arbitration-friendly approach. Thus, the Supreme Court confirmed the finality of arbitral awards in institutional arbitration (if stated in the arbitration clause itself, but not by reference to the Rules), validity of alternative (optional) arbitration clauses, possibility to conclude the arbitration clause by exchange of documents and many other important elements. Russian arbitration system has been heavily affected by recent arbitration reform of 2015 (see, eg, questions 3, 7 and 8). The purpose of the reform was to make arbitration more transparent and friendly, to stop the spread of the ‘pocket arbitration courts’ (arbitration institutions affiliated with or controlled by one of the parties to the dispute). The existence of such ‘courts’ affected the reputation of arbitration in Russia and made it practically impossible to challenge apparent unfair awards on the merits. The results of the reform are still ‘a work in progress’, as court practice to date has not been consistent, although the Supreme Court tried to address many open issues in its 26 December review. The fact that only four arbitral institutions received the status of permanent arbitration institutions in Russia has become subject of hot debates and controversy, which has already required minor amendments to the law. There appears to be political will to increase the number of accredited arbitration institutions (including some foreign ones), though to date there has been little progress on this. Among the most recent investor-state arbitration awards rendered against Russia (the PCA’s award in relation to expropriation of the Ukrainian assets in Crimea) is probably the best known. The award was rendered in favour of the legal entities affiliated with PrivatBank, owned by Ukrainian oligarch Igor Kolomoisky, claiming over US$1 billion. The arbitral tribunal rendered the award on the merits, although determination of the amount of damages is yet to come. Russia did not participate in the arbitration and notified the PCA in 2015 that it does not recognise the jurisdiction of an international tribunal.